By its nature, awards season tends to winnow a field of films and performances until many of the same names are read week after week, award show after award show, leading up to the Academy Awards. It’s a process that always leaves deserving nominees left out for lack of buzz, awareness or box office. When the Oscar nominations are announced Tuesday, there will surely be much to celebrate and a handful of surprises. But it will inevitably, necessarily be a reductive list that omits many of the high points of what was an awfully good year for movies. This year, much of the love has been heaped on the likes of “A Star Is Born,” ”Roma,” ”Green Book” and “The Favourite.” There have been occasional, inspired attempts to upend the march to the Oscars, or at least pause for reconsideration. The Los Angeles Film Critics Association, in a much praised selection, picked Debra Granick (“Leave No Trace”) for best director when few had her (or, notably, any other woman) in “the mix.” The National Society of Film Critics went back to an acclaimed if little seen April release, Chloe Zhao’s “The Rider,” for its best picture winner. The movies of 2018 were simply too good and too multitudinous to be filed neatly into a steady drumbeat of favorites. Here are just a few of the performers, filmmakers and films that almost certainly won’t be among the names read on Tuesday, but who warrant it as much as any other nominee. It is easily, overwhelmingly, the most crowded category of the year, and this bunch STILL leaves out unforgettable performances by Elsie Fisher (“Eighth Grade”), Carey Mulligan (“Wildlife”), Jamie Lee Curtis (“Halloween”) and Juliette Binoche (“Let the Sunshine In”). Yet these five all seem to be on the outside of the Lady Gaga/Olivia Colman/Glenn Close favorites despite work that was at turns staggeringly ravishing (Kulig), deeply personal and preternaturally poised (Stenberg, in a star-making performance), insanely committed (Collette), comically but forcefully poignant (Hall) and flat-out human (Hahn). The only thing standing in the way of a litany of awards for Jun Jong-seo’s aching, sorrowful performance in Chang-dong Lee’s masterly psychological thriller “Burning” is celebrity (it’s her first film) and language (since foreign films rarely get much recognition in acting categories). “The Old Man & the Gun” might be remembered for Robert Redford’s final performance, but it’s when he’s on screen with the ever-glowing Spacek that the movie lights up. Henry only has a few scenes in “If Beale Street Could Talk,” but they were among the most beautiful and tender of the year. (Michael Shannon had about the same screen time in 2008’s “Revolutionary Road” and still earned a deserved Oscar nomination.) As a desperately down-on-his-luck actor in “Paddington 2,” Hugh Grant gave the most delightful performance of the year (though his co-star Brendan Gleeson, as a prison chef, was close). 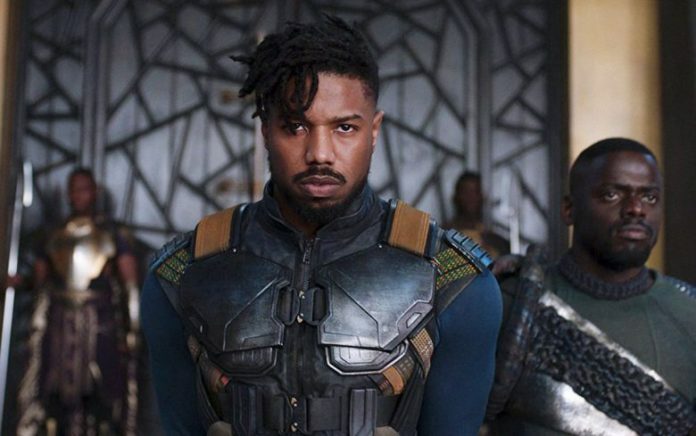 And it’s impossible to separate the greatness of Ryan Coogler’s “Black Panther” from the tormented performance of Michael B. Jordan. He’s the movie’s anguished heart. None of these films could have been made — or even attempted — by anyone else: the soulful melancholy of Zhao’s vividly naturalistic “The Rider”; the delirious splendor of Lucrecia Martel’s hypnotic adaptation; the Coen brothers’ audacious anthology of six Western morality tales; Wiseman’s sharp and patient portrait of small-town America; and Pawlikowski’s gorgeous, devastatingly concise ill-fated romance. These are many others, too, that deserve to be remembered. Everyone could, and should, have their own picks. To paraphrase Lady Gaga, it was a far from shallow year at the movies.